Puzzled by what makes your child act the way he or she does? Help is found in the pages of Every Child Can Succeed. 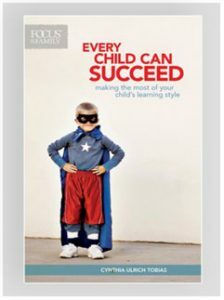 By identifying your child’s unique learning style, you can move your child from excuses to accountability, eliminate unnecessary frustration at home and school, and appreciate the unique gifts he or she has to offer!